Inlanta Mortgage has been recognized for its contribution to the success of the USDA Rural Development Guaranteed Rural Housing Program for fiscal year 2012. 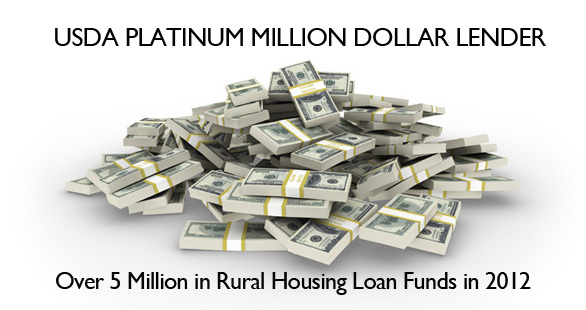 Inlanta is a certified USDA Platinum Million Dollar Lender utilizing over $5 million in rural housing funds during 2012. The USDA Rural Development Loan Program, or just USDA loans for short, are designed to make rural housing more affordable. A USDA Guaranteed Loan is a government insured 100% purchase loan. USDA loan program eligibility depends upon applicant income and the purchase property location. The USDA Rural Housing program is for residential purchases and rate-and-term refinances only – no cash out refinancing. All USDA loans are 30-year fixed rate mortgages. In 2012, guaranteed rural housing funding was delivered to Wisconsin homeowners resulting in over 3,388 home purchases. Inlanta is headquartered in Brookfield, Wisconsin, just outside of Milwaukee. Inlanta Mortgage is an approved USDA Rural Housing Program Lender and a USDA Platinum Million Dollar Lender. Apply online now at http://www.teaminlanta.com. This entry was posted in Uncategorized and tagged financing, Florida, mortgage, real estate, usda. Bookmark the permalink.